My stay at the hotel was good. The staff was friendly. 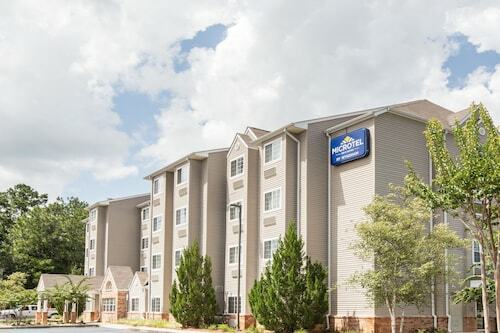 The hotel is located in a good location and very close to the interstate. So you're considering a holiday to Chickasaw? If you want a place to call home that's located close to Chickasaw attractions, use Orbitz to pick your travel dates, and then presto! Look through the list of hotels and other accommodations to find those that are near what you want to see. There are 125 accommodations to pick from within the larger area if you can't find the ideal place to stay in the heart of Chickasaw. Search by filters such as price, neighborhood, guest rating, or popular locations, depending on what's most important to you. We make it easy to find a convenient flight into Mobile, AL (MOB-Mobile Regional), which is 11.6 mi (18.7 km) from the heart of the city. Find the perfect flight in a flash by using the filters on our site to narrow down your search. There may be a limited number of hotels and accommodations to choose from in Chickasaw, but here some other options located close by so you've got some choices. What's the Weather Like in Chickasaw? This house has so much character. If you love old houses, you will love it. I stayed in the Canela room (Forgive me if I am getting the name wrong, it is the room with the navy blue bedspread). It had wifi and cable. I loved the bathroom with the lavender walls and a clawfoot tub. 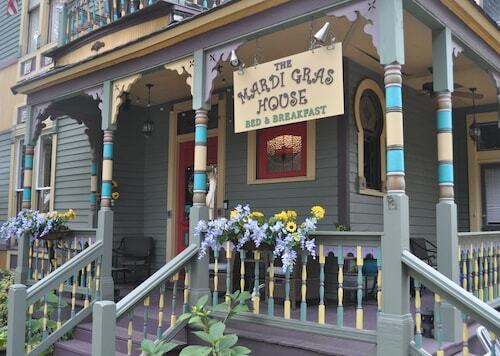 The neighborhood has many beautiful houses and is also close to Dauphin St where the restaurants and stores are. The owners, Ms Karen and Fuzzy the Cat are amazing. So nice. In the morning I sat on the porch drinking coffee and listening to the birds sing. It was so relaxing. I would 100% stay here again! I highly recommend it.